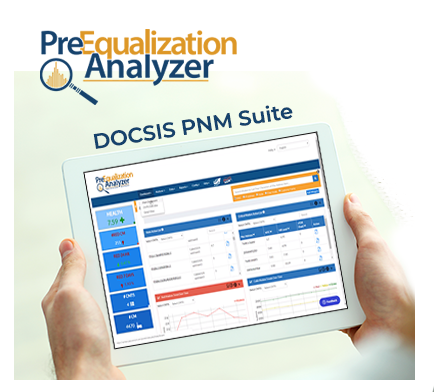 PreEqualization Analyzer is a Proactive Network Maintenance (PNM) tool that allows you to find and fix micro-reflections and group delay caused by issues like loose connectors, corroded fittings and cracked or bent cables before they impact your subscribers. We use a methodology developed by CableLabs to analyze the pre-equalization data from the CPE on the cable network to determine which devices are being impacted and the approximate location of the fault. 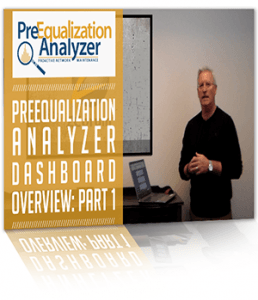 The data and mapping features in PreEqualization Analyzer can help you quickly improve the quality of your cable plant, increase the efficiency of your maintenance staff, and provide a better experience for your customers. Plus, you can access multiple tools that are invaluable for cable plant diagnostics from a single interface. 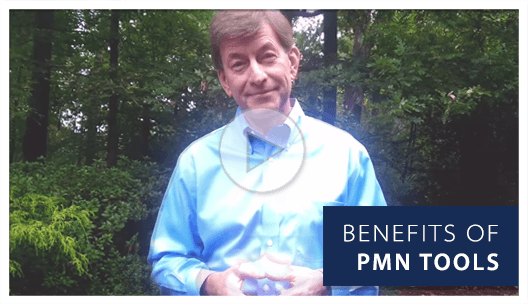 In this product series, Arthur Skinner shows you how to benefit from the most useful features in our DOCSIS PNM tool. Are you reacting to problems rather than handling them as part of routine maintenance? It’s time to get proactive. 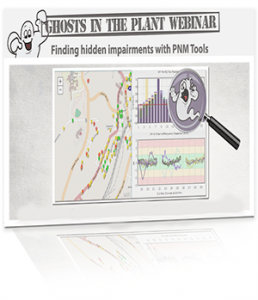 You can use proactive network maintenance (PNM) tools to locate hidden impairments in your cable plant. Watch this video for info on using correlation groups in PreEqualization Analyzer. 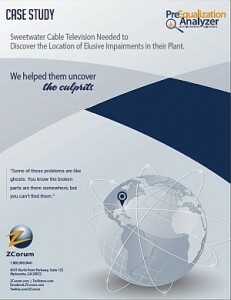 See how Sweetwater Cable TV used DOCSIS pre-equalization to solve network impairment issues in their cable plant. 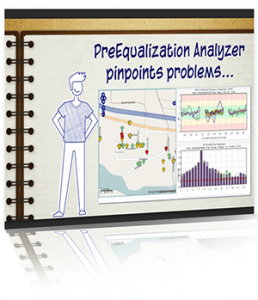 Learn how pre-equalization provides immediate results on DOCSIS parameters in your plant. Like or follow us for free industry resources and for the newest updates on PreEqualization Analyzer.